Engadget reported on a "smart city" experimental neighborhood planned for Quayside, a portion of the waterfront in Toronto, Canada. The headline read, "Google’s smart city dream is turning into a privacy nightmare." See https://www.engadget.com/2018/10/26/sidewalk-labs-ann-cavoukian-smart-city/. More accurately, it is Google's parent, Alphabet, doing the work through its Sidewalk Labs division, which is engaged in smart city work. The story was sparked by a member of the planning team, who resigned after she objected to a Data Trust being given the trust to "approve data collection that isn't anonymized or de-identified at the source." In short, Google wants Quayside to be like your Android phone, where it wishes to track everything you do, say, and view. But, no. It's not turning into a privacy nightmare: it always was meant to be a nightmare. The no-privacy bug is designed into smart cities, right from the beginning, but it is worded as a "feature" -- or, more accurately, the 'smart city' feature. It it's smart, it can't be a bug. Why do you suppose dictatorships like Singapore and China are keen on smart cities? It sure isn't for the green aspect. Smart cities is the side-effect of the envy of Google feels in seeing Facebook collecting non-anonymized data. That, and the techno-utopianism that bets billions that technology turns otherwise flawed humans into perfection -- the singularity, followed by the utopia. And so, how can we be sure that utopia will persist if we cannot track every citizen's action, by name, to ensure he retains the Good Citizen Achievement Level. If we detect a citizen failing be an Eloi, then we are prepared to ban him to a Morlock existence. BLADE is the BricsCAD LISP advanced development environment for interactively programming with the LISP programming language. BLADE was introduced last year with BricsCAD V18. A public API is now available for sheet metal. It uses ARx syntax in BRx (API previously worked through LISP). BIM API is u pdated in V19 with IFC export classifications, all BIM properties, spatial id, such as buildings and stories, associative and non-associative rooms, compositions, linear elements like beams and columns, and BIM dialogs. BricsCAD App Store has been reworked to make it easier to find the specific add-ons. BricsCAD Solution Build V19 will be released end of 2018. It is not AutoCAD OEM, but the end result is the same. Why still use LISP? It has low to zero maintenance, is compatible between releases (unlike C++), no compiler requires (faster development), lots of libraries available, and it good enough probably for 99% of users programming needs. Here is a picture of the BLADE user interface. It offers parentheses highlighting, pretty printing, collapsing sections, automatic code indenting, and tooltips that show function syntax. One project can be open at a time, where a project consists of two or more files. A preferences dialog box lets you set up colors and other settings as you wish. You can add your own keywords, and can be highlighted in a different color from regular keywords. Define constants, text scaling factor, and save multiple configurations. A very nice feature is the side panel that lists the functions used in the current code. Click on a function name, and it is highlighted in the code -- and vice versa. The function names can be sorted in a variety of ways, such as actual order and alphabetical. On to the next session, "The Future of Drawing," where we are getting some more previews of the next release of BricsCAD V19. First up, linking Excel spreadsheets to tables through data linking. It works only with Excel, alas. The Dim command has been reworked to do semi-automatic dimensioning. As the cursor passes over geometry, BricsCAD selects the correct style of dimensioning, such as linear for lines and radial for circles. A formal block editor is added to V19, which is accessed through the BEdit command or by double-clicking a blck. Tangent and Perpendicular entity snaps controls geometry being stretched, such as resizeing an arc attached to lines. Nudge lets you move entities with the arrow keys. The distance moved depends on the zoom level. Blockify converts individual entities to identical-looking blocks, which helps reduce file size. See my tutorial at https://www.worldcadaccess.com/blog/2018/10/bricscad-v19-2-blockify-conversion.html . It is useful for cleaning up imported STEP files. In one example, the filesize went from 33MB to 3.5MB. PDF files can be imported as drawing entities. The manipulator gets a ruler and a protractor, and recognizes snapping. The Repeat option makes multiple copies, while the Copy option makes copies at any angle or distance. Point clouds can be imported, and entity snaps used with them. 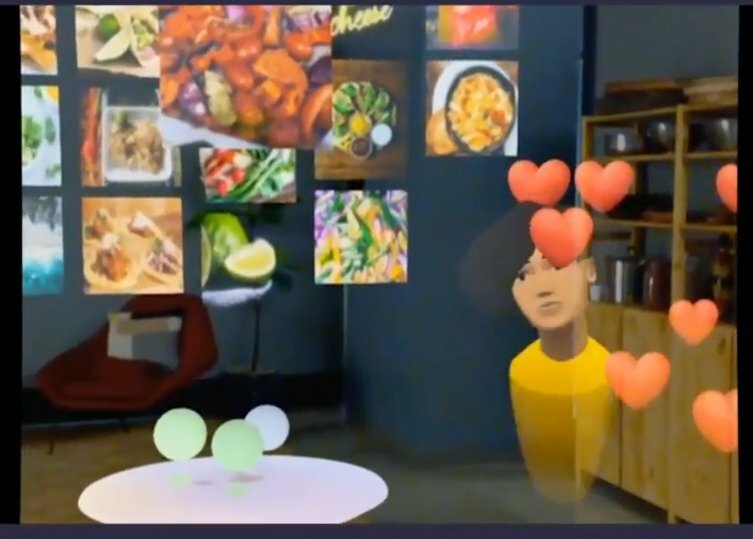 A future release will add object recognition. A new module is called BricsCAD Mechanical, which combines BricsCAD Platinum with the old Sheet Metal module. The tease question is "What's wrong with mechanical design?" AutoCAD Mechanical is not a choice because it is just a toolset to create 2D drawings -- not 3D. No collision checks, no mass properties, because it is not 3D. Autodesk Inventor is not a choice because it loses the ability to edit 3D DWG files. "It forces you to be a programmers not a designer," because it uses history. Fusion is not a choice because it requires a stable Internet connection, and uses the same engine as Inventor. Also: be affordable, work without an Internet connection, and have a permanent license. 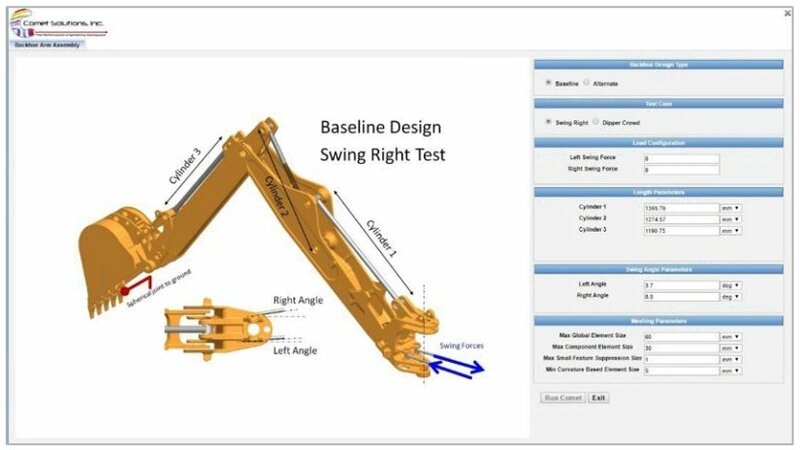 The backhoe was modeled from scratch in BricsCAD, and moves using parameters. See my Twitter stream at upfrontezine for more on mechanical and sheetmetal. Alright, here we are waiting for the official start of Bricsys 2018 conference here in sunny London. We've already had a developer session, where we learned of some of the nuts and bolts about developing add-ons for BricsCAD. CEO Erik de Keyser is on the stage saying "We are going to rock the industry. Again." He is reminiscing about the start of BricsCAD, which goes back to TriForma, which he sold to Bentley -- BIM before it was called BIM. And then they went to write BricsCAD, first based on IntelliCAD, and then rewritten independently of ITC. "Best decision we ever made" was buying the solid modeling from LEDAS. Now hearing from Rick Allen, executive of Hexagon PPM, also president of CADWorx and Analysis Solutions. CADWorkx link is important, because all this began a few years ago when Intergraph ported CADWorx from AutoCAD to BricsCAD. In the slide below, the extra 180 employees come from Bricsys. Why did Hexagon buy Bricsys? They wanted customers to have a complete solutions. The most complex engineering problem today is the offshore platform, with issues like tight spaces and centers of gravity. Intergraph specializes in software that designs them, as well as oil processing plants, water treatment plants, and so on. Intergraph/Hexagon is excited by the one-DWG platform provided by Bricsys, for CAD, BIM, and MCAD design in a single file format -- no translation. As opposed to Autodesk, who suffers from CAD (DWG), BIM (RVT), and MCAD (IPT), and the conversion headaches that result. So the aim these days is to simplify the use of BricsCAD, and yet represent the details with BricsCAD. The brief lunch is over, and now it is time for the inaugural BricsCAD user group meeting. First question on the boar, "Should there be a BricsCAD User Group?" Led by Steve Johnson, who says Bricsys asked him to tackle this. Should there be a BricsCAD user group? Yes, we'll give it a try. How independent should it be? Maintaining the independence of the user group is important to attendees. Steven Johnson offers to lead the group initially, with a few others helping. The problem being we don't know what BricsCAD might be called in the future under Hexagon (Intergraph was renamed Hexagon PPM). VP of communications Don Strimbu is asking, Who thinks BIM is awesome? Who thinks BIM is too hard? Now we are getting a demo of what's new in BIM for BricsCAD V19. The BIM module has a new UI that borrows from the free Sketch program, such as a toolbar-like ribbon and video-based help in a panel. BIMify is already two years old, the "AI" command that turns CAD elements into BIM elements. It recognizes beam, columns, components, rooms, internal and external walls, and so on. Compositions is the most among the most BIM part of BIM, where the details of walls and floors/roofs are defined. A typical residential wall is gyproc on the interior, then 2x4" framing, insulation, plastic vapour barrier, exterior wall of plaster or brick or wood -- and the software needs to know which walls are exterior and which are interior. BricsCAD handles this. BIM V19 now imports @AutodeskRevit RFA family (component) files for use in architectural designs. This means that BricsCAD can now make use of the huge catalogs of Revit parts on third-party sites. Parameters and constraints associated with the RFA are imported. But when the RFA file lacks parameters, then BricsCAD can add them with a single click inside the new Block Editor environment. Draw the basic shape with 3D solids, then use the new multi-slicing command to create the floors. Shell the model to create walls and ceilings, and then BIMify to identify them. Add glazing. New grid is either rectangular or radial; any curve can be the grid axis, then use standard tools to modify the grid's look. The new Propagate command quickly adds elements to a drawing, such as columns in a room. New Curtain Wall tool adds curtain walls, after you specify the material (such as glass), repeating patterns, and thickness. BricsCAD BIM V19 imports TIN files to display the terrain, and has site modeling tools for flattening areas for buildings and roads. Use the outline of the building's base to define the cut/fill volume. When volumes are removed, BricsCAD reports the volume. The afternoon break is over, and now we hear about CDE -- common data environment -- which Bricsys deploys through 24/7, the new name for their online file sharing site that used to be known as Chapoo. 24/7 also handles project planning, editable work flows, multi-file viewing, and so on with unlimited users, each with different access rights. Cost is $200 per month but will be free for subscribers as of V19. The example given is a 2.5-mile-long tunnel under Brussels being updated over a period of years. For the future, notifications from BricsCAD, BIM collaboration format, and VR in 24/7. 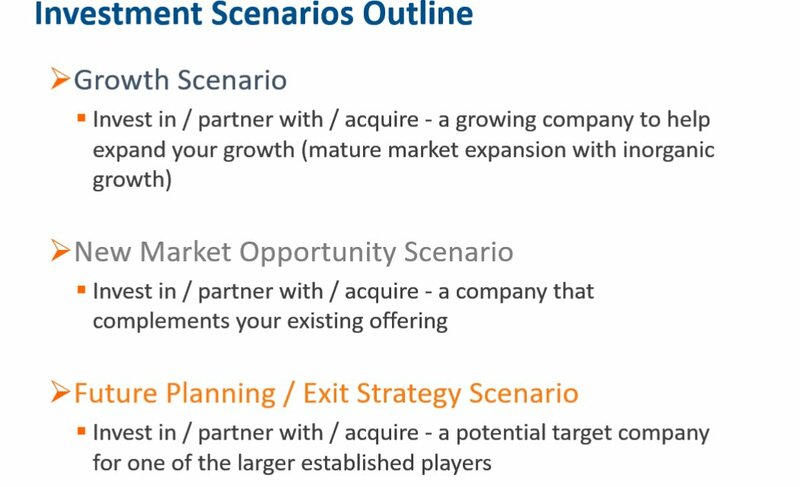 Cambashi is a CAD market analysis firm out of England, and this week it held a Webinar intriguingly named "Assessing Investment Opportunities in the CAE market." (The company also provides consulting and training.) I listened in to hear what they had to say. 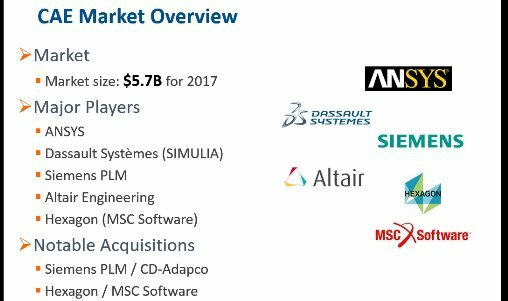 One of the first stats blew me away: There are 470 non-EDA companies providing 2D and 3D CAE and physics simulation software. The biggest names are listed below. As the Cambashi Webinar was about the opportunities in acquiring a CAE firm, one obvious purchaser that jumped out at me is Bricsys, which could use analysis to compliment its advanced design capabilities. Well, that, and the cost of acquiring the software company. When I want to send email from outside of Canada, the outgoing email is filed to Outgoing, the purgatory mailbox. It is never sent. The problem occurs whether I want to send email from my Android phone or my Windows laptop, using a desktop client like Eudora or eM Client, or mobile app, like AquaMail. Who blocks the email, and why, I don't know. So, download and install a VPN like TunnelBear (https://www.tunnelbear.com/download), and then specify your home country, the one where your ISP is located. In my case, Canada. Problem solved. If you have emails stuck in the Outgoing box, then you'll need to resend them. In some cases, the email client is smart enough to send them once it senses that you are "back in Canada." In other cases, you need to manually resend them, which might involve moving them to the Inbox, forwarding them as an original, or some other tactic. I use TunnelBear to watch videos, such as live news events, that are geographically locked. Some jurisdictions, however, like China, and some software giants, like Netflix, block VPNs. So, there is an alternative. There is an alternative solution, involving a "visual" VPN like TeamViewer (https://www.teamviewer.com/en/download/windows). It displays on your local screen (laptop or Android device) what is displayed on the distant computer to which you connect. I primarily use this software to support the computers used by elderly relatives. It lets me see what is happening on their computer screens, operate the software, and even reboot their computers. When I am abroad, I use TeamViewer to access my desktop computer back home. I've used it sometimes to transfer files that I forgot to take along, but mostly I use it to access my Eudora email client running on my primary desktop computer. I go through the incoming emails, answering them, and filing them into mailboxes. It is possible to watch geographically-locked and VPN-blocked video with TeamViewer, but the frame rate is slow. It works, because as far as Netflix is concerned, the video is being watched on a geographically-correct computer. I don't know if TeamViewer is effective at evading the Great Red Firewall imposed by China. 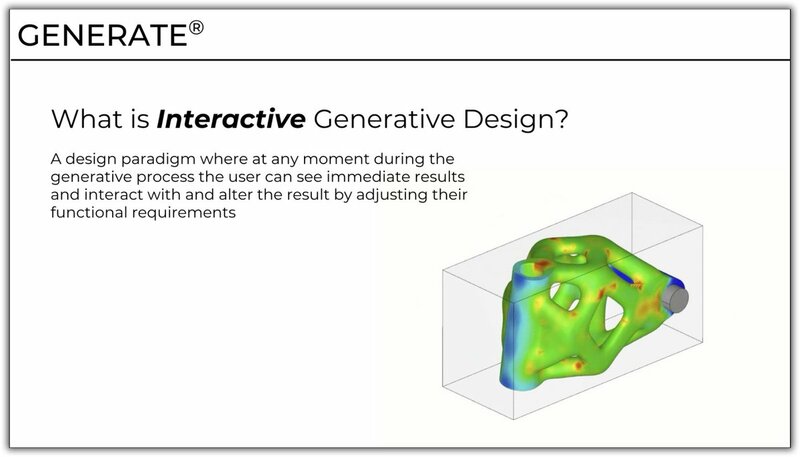 Gabriela Borges (financial analyst): On Discovery Live [real-time FEA from ANSYS], I’m curious on the feedback that you've gotten since the announcement, and your understanding of the composition of PTCs CAD base, do you have a sense for what percentage or what types of customers within the CAD base would be interested in buying through the Discovery Life partnership? Jim Heppelmann (PTC ceo): To simplify things for the benefit of everybody, think of Discovery Life being like a spell checker in a word processing document. You used to write a lot of text and then you’d stop writing and you would spell check and you’ll find all the mistakes. You’ll fix them all and then go back to writing more new text. And now like in Microsoft Word that spell check is running all the time and as you're typing or misspelling a word, it's already showing you that doesn't look like a word to me and if you make a capitalization mistake its correcting itself. So now take that kind of metaphor if you will and bring it over to CAD. We used to design, design, design, stop designing and go simulate find a whole bunch of problems, try to fix them all and then go back to designing. Now as you design Discovery Live is watching over your shoulder and, with literally every change you make, it tells you what are the implications of that change. But I want to say is who wouldn't want a spell checker in Microsoft Word. Anybody on the phone call here that have no use for a spell checker? So I think that everybody wants it, every single user and probably especially the ones that are creating geometry would benefit from this capability. Now we would have to figure out its kind of amazing thing and we don't know how fast and how far the penetration will go, but I will tell you, we should end up with a very high penetration of this technology into our CAD base. I would be surprised if that didn’t happen. One of the most important events for me at the annual COFES (Congress on the future of engineering software) conference is Tech Suites. This is a series of briefings that are held by vendors who sponsor the congress. I find them exciting to attend as I get to hear what vendors are saying about their latest innovations directly to competitors and industry analysts, rather than only to potential customers. The result is an open, dynamic discussion that delves deeply into underlying issues that don't usually come to the surface during typical sales events. This year at COFES 2018 I felt that the Tech Suites headliners were two -- Onshape, and Solidworks with xDesign – plus one more, the surprise change at the top of Spatial. It seems to me that many agree that Jon Hirschtick, a co-founder of Onshape, is one of the most charismatic figures in the modern CAD world. The packed audience of Onshape’s Tech Suite was proof of this. But this is not the only reason why I think OnShape has won over Solidworks xDesign. Today, the Onshape brand has a lot to boast about. It is a full-scale MCAD system, a top-notch "no files - no problems" policy with a single cloud database, thousands of users, its own app store with 51 partner applications, and tons of other reasons to transfer over from other MCAD systems. After creating and dominating the desktop MCAD market with Solidworks, Hirschtick created and dominated a whole new segment in the MCAD market as other major players are rushing to develop their cloud solutions as well. This is somewhat reminiscent of Tesla, isn't it? So then what does that make Solidworks xDesign? It is, in fact, a timid attempt to enter the emerging cloud CAD systems market with a raw product that doesn't support even a fraction of Solidworks’ features; how many years will it take to fix this? To pull users over from Solidworks? So if xDesign is intended to attract new users, things are even worse than I thought, because at COFES I could not find one argument in favor of xDesign. And it's not just me, either! Most people talking about this informally share this opinion. Now that we've mentioned software components, let's switch gears. I suppose the biggest surprise during COFES (at least, for me) was the news that Linda Lokay is stepping down as general manager of Spatial. Linda is a prominent figure in the global CAD market, confirmed by receiving the Leadership Award at this year's COFES. We may never know why she made the decision, but it's not hard to see a growing problem if you talk with Spatial solution users. The company's portfolio offers two geometric modeling kernels. The first of them is ACIS, written by Spatial, with a huge user database. The other is CGM, which is developed by Dassault, and was assigned by its parent company to Spatial to market it. We can't count for certain the number of CGM users, but I suspect there aren’t very many. What is Spatial's strategy? If the company were independent, there would be no alternative to ACIS: hundreds of customers would bring in good revenue, and the main focus would be on them and developing the product to increase royalties. But, what if we look at this issue from Dassault's perspective? This French company does not use ACIS, and so revenues from ACIS sales are likely lower than its own platform sales. (End-user products are always more profitable than components.) Plus it has CGM, which a great product, and its development is of crucial importance for Dassault's core business. Transitioning ACIS users to CGM will have a synergetic effect on kernel development and the development of the 3Dexperience platform ecosystem. The only question is: why would ACIS users need this? Irrespective of future developments, uncertainty about Spatial may play into the hands of its competitors, primarily Siemens PLM and its Parasolid kernel. Apparently, Parasolid is already putting competitive pressure on ACIS, as now most often new influential CAD market players choose Parasolid. For example, OnShape and the even more innovative Sharp3D. The C3D Labs team might also try to take advantage of this situation. For example, we entered the formerly exclusively ACIS domain as a second 3D kernel for Open Design Alliance's Teigha platform. NanoCAD Plus 10, which will be released very soon, will use our C3D kernel on an equal basis with ACIS in its 3D modeling component. Oleg Zykov is CEO of C3D Labs. "Disclaimer: As the CEO of С3D Labs, which specializes in the development of toolkits for the software engineering industry, everything written above is my personal opinion and does not necessarily reflect the official position of the company. My opinion cannot be considered fully objective and impartial due to my primary activities." This article was first posted at https://www.linkedin.com/pulse/three-takeaways-from-cofes-2018-oleg-zykov/ and is reprinted with permission. At COFES [conference], a guy from McKinsey asked me, "Why would blockchain would have material value over a typical distributed database?" Blockchain is most valuable where the transactions are between parties where there is limited trust and where maintaining a potentially public ledger is beneficial. To what extent is that the case in CAD design? What exactly would you put in the blockchain? There is an issue in CAD revolving around IP [intellectual property] protection. Right now, the solution provided by CAD vendors is a form of design simplification. This function strips out details that a sub-contractor or manufacturer does not need to see. For example, when a sub-contractor is providing a part that connects to a car engine, the engine designer might strip out the details of the engine's internals, leaving only the connection points for the part -- be it electrical, hydraulic, or mechanical. The drawback is that this process of simplifying the model takes an extra step, as well as deciding which elements to remove. If CAD vendors were to use blockchains instead, users could track the individual parts of a model throughout the sub-contracting and manufacturing steps. In theory, if someone were to steal the IP, it could be traced -- in theory. Whether this would work in practice, I do not know -- just as "uneditable" PDF files don't work in practice. I have worked on a couple of legal cases as an expert consultant where DWG files were alleged to be stolen. Inside DWG files are a few properties that could help prove theft -- but not to the CAD-untrained eyes of lawyers. Integrating blockchain inside DWG and other CAD files would be proof sufficient for a court of law. This would apply to both MCAD (manufacturing) and AEC (construction of buildings). When I last wrote about the Aurga remote camera controller (see http://www.worldcadaccess.com/blog/2018/06/aurga-remote-camera-controller.html) , it wasn't working. It would not connect to the camera. Aurga tech support promised me that a software update coming soon would fix the problem. Figure 1: Aurga controller (red) mounted in battery supply (yellow) on DSLR, connected to camera via USB cable (green). The software update turned out to be for the Android app. (I had thought it would be a firmware update to the controller unit.) With the update, the app now connects to the controller, showing me information about the camera, in my case a Nikon D3100. The primary purpose of the app is to control the camera, such as changing settings (shutter speed, aperture, photographic modes) and taking pictures, such as in timelapse and multiple-image modes. With the app working, I found that several remote functions don't work with the D3100, including the all-important live view. (See figure 2.) Live view is where the app shows on the Android screen what the camera lens is seeing. This one flaw dooms the Aurga. If you can't see remotely what the camera is seeing, then there is no point to the Aurga. Figure 2: Yes, we have no live view. Not only would live view show the image being captures, but also the settings that affect it, such as how bright or dim the image is. There isn't even a non-live live view, such as a one-time static image updated, say, through a refresh mechanism. A few other Aurga controls also do not work with the D3100. The Aurga Web site does not list which functions work with which cameras, and so if you purchase a unit, you are gambling it will work as advertised. Unhappily, the site implies that all functions work with all cameras. (See figure 3.) The only hint of a problem is in the corporate blog, in which Aurga staff indicate that they are getting more functions to work on Sony DSLR cameras -- meaning not all functions work with Sonys, either. I suspect the problem lies in which functions the camera manufacturer makes available via the USB connector, and so Aurga programmers have no control over which functions can be controlled by their app. This problem does not, however, absolve the company of failing to warn consumers of reduced functionality. Aurga is not the only remote camera controllers on the market. The list is not finished yet. We are still confirming some models. For some old cameras like Nikon D80, D3000, D3100. They doesn’t support live view natively (on camera LED), Aurga doesn’t support too. Anyway, that is true we have to make the feature more completed on website. I tend to ignore pleas from Kickstarter, but over the years two pleas did catch my fancy. One was the latest release from the makers of Myst, even though the new game took something like two years to deliver. The other was more recent, a remote camera controller for DSLR [digital single lens reflex] cameras. It promised a host of functions, which you set from your smartphone, which then passes the commands to the camera through an attached controller. It was only $99 for an early supporter, so why not! Unlike some other hardware startups on Kickstarter, this one actually shipped and arrived last week. It didn't work, but a firmware update is due soon, so we'll see. Yellow (Battery): This largish black plastic part is basically the battery. It has a microUSB port in the side for charging, a red button on the back for turning it on and off, and four LEDS that report the battery level. Underneath it has a hot shoe attachment for mounting on the camera's hot shoe, and on top a USB-A port for plugging in the controller. Red (Controller): The main part is the controller, in silver and black. It plugs into the battery's USB-A port. It has a WiFi antenna for connecting with your smartphone, as well as the electronics for special effects. On the side, there is a microSD slot for memory cards up to 256GB, and at the front a second USB-A port for connecting the USB cable. Photos can be stored on the camera, as usual, or on the memory card. It actually has two LEDs that light up, one next to the WiFi logo, a second next to the globe logo. Aurga provides no explanation for the Globe LED; I wonder if it is meant for connecting to the Internet, so that the camera can be operated really remotely? The controller can be used a card reader. If the photos end up on the microSD card, you can plug the controller into your computer's USB port and copy the photos over. Green (USB Connection): The USB cable is for controlling the camera. One end connects to the controller, the other end to the camera's USB port. This cable is included, but it was the wrong kind for me: Aurga supplied a microUSB cable, but my DSLR uses the older miniUSB connector. The 4th part is the app running on your smartphone, as described later. The controller receives its instructions from your smartphone. The controller instructs the camera through the USB connection. The battery provides power to the controller. I suppose you could use any 5v power source with a USB-A connector, should the included device run low. In fact, the Aurga does not even need to be mounted on the camera; it only needs to be connected to the camera by a USB cable. Install the Aurga app from the Android or iOS app stores. Turn on the Aurga power unit by holding the red power button for three seconds. Wait a half-minute for the Wifi to start up. On the smartphone, connect the Wifi to the Aurga-xxxx address. Control the camera with the app on the phone. Much to my disappointment, Aurga isn't working for me. The smartphone is not making the connection with the camera, even after I tried the Aurga app with on different smartphone models with four different releases of Android. I am working with tech support, and I will update this blog if the device does work. BTW, this is not the first remote assistant. Shutterbug describes Arsenal at https://www.shutterbug.com/content/arsenal-new-“intelligent-camera-assistant-promises-help-you-take-perfect-photo. A pure driving environment unencumbered by the problems of the real world. Take a look at the photo I took from the LRT transit stop in downtown Phoenix, at 1:30pm on a Tuesday afternoon, and notice what is missing. People. The lack of pedestrians is a benefit to early driver-less car testing, as pedestrians are irrational, in particular by jay-walking, ignoring traffic signals, suddenly reversing their route, and wearing disguises like packages, shopping carts, and large flapping articles of clothing. The lack of pedestrians is a drawback, as the software doesn't get to learn about them. During the Siemens PLM Connection Americas 2018 conference, one of the keynote speeches was about a chip from newly-acquired Mentor that handles Level 5 automatic driving (fully independent of humans) but can be throttled back to Levels 4 and 3 (more human intervention needed). In particular, we saw how the system identifies pedestrians. 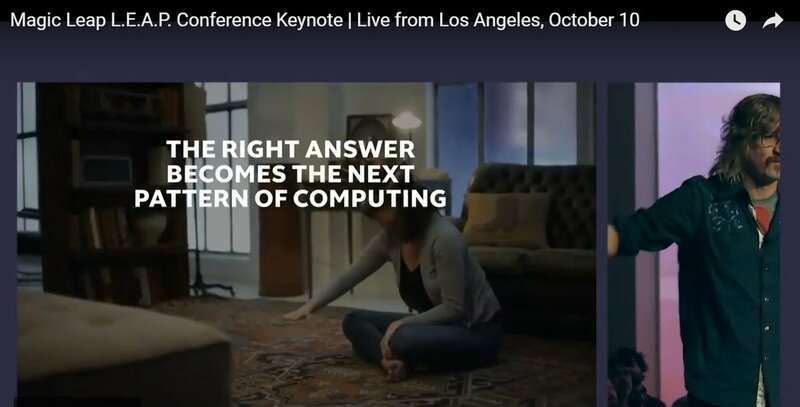 This was supposed to be happy news from the keynote stage, and so the recent killing of a pedestrian by an Uber-operated autonomous Volvo wasn't mentioned. In brief, the Uber software could be set to Smooth (ignore objects in order to brake and swerve less) or Safe (avoid or stop for things that might not be a problem.) In this case, it was set to Smooth, and so ignored the bicycle-camouflaged jaywalker. Software that performs semi- and fully-autonomous driving has been killing drivers as well, and most often by Tesla cars whose ceo has been championing the fight against AI that could kill us all. It was in late 2014 when I received a press release regarding a new 3D printer aimed at children but being funded through Kickstarter. Aiming 3D printers at children had so far failed in the marketplace, as had the marketing war cry, "A 3D printer in every child's bedroom!" Why target children? The less obvious answer is that the 3D printer can be less sophisticated (ie, cheaper to make), along with the more obvious hope that by snaring them young, the vendor gains a customer for life -- alway a dubious proposition. I hung onto the press release, because I wanted to see if it would fail. It did, despite a flurry of positive press around the November 2014 announcement. Family-friendly, Child-safe, Proven Technology at an Affordable Price! 3D printing, in the form of the revolutionary 3D Printer, is finally ready for prime time – not to mention play time and study time! Designed BY families FOR families, the 3D Printer aims to make an exciting new technology as commonplace and worry-free as a microwave oven. While not quite “Tea, Earl Grey, Hot”, the D Printer just might be the closest thing on Earth to home-based Star Trek tech. Currently featured in a high-profile Kickstarter campaign, the 3D Printer is the first such featured device to offer a one-year warranty, FREE lifetime online education, and a family-friendly, child-safe design. Though 3D printing technology has proven its worth time and time again in recent years, the majority of applications have been in industrial and commercial settings. The 3D Printer is the logical next step in the evolution of 3D printing, seamlessly incorporating this advanced technology into our daily lives by ensuring it's safe, simple to use, and affordable. To that end, the R&D team behind the 3D Printer made safety a priority in all aspects of the design, beginning with the elegantly rounded, Polycarbonate-ABS injection molded case. There are no confusing and superfluous buttons or screens, no sharp edges or fiddly clamps, no hot plates or wayward lasers to burn tiny hands or damage inquisitive eyes. Instead, a large window illuminated by a cool-running white LED bulb showcases each and every 3D-printed creation as it comes into being, layer by paper-thin layer. The 3D Printer isn't just user-safe, it's environmentally-friendly too. The 3D printing process employs biodegradable print material derived from renewable resources such as corn starch and sugarcane. This material does NOT give off foul-smelling, toxic fumes when the printer is used, making it ideal for home or classroom use. Available in a rainbow of colors at a surprisingly low price, the material comes in the form of thin flexible filaments wound on spools for ease of storage. The family-oriented team behind the 3D Printer strongly believes in the value of their “baby”; the fact they're offering a one-year warranty with every 3D Printer (no other price-competitive product on Kickstarter or otherwise offers this) means they're in this for the long haul. In addition, when you purchase a 3D Printer you also gain access to FREE on-line education for life. “We have learned so much along the way through this journey and want other families and kids to benefit,” states a Co-Founder of the company. “What we found frustrating, however, was that we could not find a good on-line educational resource that teaches how to use 3D printers, where to find and/or design images, and so on. Our goal is to create an on-line educational community of learning with training modules, instructional videos, projects for family, friends, kids, and school teachers.” You can't put a price on that kind of knowledge! The 3D Printer lists for $799.99 at the company website but in concert with the Kickstarter campaign running until the end of 2014, purchasers can take advantage of a host of special, value-added discounts: the Early Bird at $649, the Kickstarter Special at $699, and the value-infused Kickstarter Bundle that features a trio of 3D Printers plus three spools of printing filament for just $1,999! For more information on the revolutionary, groundbreaking, family-friendly 3D Printer, please visit the home page and the Kickstarter campaign page . 3D Printer was co-founded by several families inspired by the wealth of opportunities offered by the amazing new world of 3D printing. We believe an affordable, easy to use, and child-safe 3D printer such as 3D Printer should be available to ALL families and should be a vital component of every home and classroom. Our founders have successfully launched new products in Canada and have expertise in product development and fulfilment while our team includes skilled engineers who have spent many years designing and making 3D printers and software. The company Web site is down, but its Twitter account is still active, with the last tweet on April 2015. The jurisdictional government reports that the corporation is still "Active" but has "Dissolution Pending" due to "Non-compliance," which I probably is due to failing to file annual reports and so on. In past conference calls, Autodesk liked to trot out the number of pirate users -- 12 million! -- as a sign of the huge upside to forcing its customers onto subscriptions. After all, 12 million as a number is a lot bigger than 2 million -- which is the actual number of customers on permanent licenses that have so far refused to switch. And who knows how accurate the 12 million number is, given Autodesk ceo Andrew Anagnost's statement, "Pirates don’t declare themselves at the door." The implication was that Autodesk would have within a few years (perhaps as soon as 2020) another 14 million customers paying it a couple of thousand dollars a year. Do the math, and you would have a $28 billion-dollar-a-year company, about 14x larger revenues than today. Not so. I sometimes feel like everybody expects like some quarter I’m going to declare 50,000 net subscriber adds for piracy in the score. You might be waiting a long time to hear that declaration. This move (with regard to how we address non-paying users in our market) is an ongoing process, basically keeping the run-rate at a relatively nice clip, quarter after quarter after quarter -- well beyond even the FY 2020 goal [when all maintenance subscribers are supposed to be on the new subscription plan]. That’s what some of the companies that have engaged in this, like Adobe and Microsoft, have seen: [converting pirates] has been an ongoing return to the business. We rolled out the in-product messaging to the pirate in AutoCAD, and we’re going to roll that out worldwide as time progresses. We’ve also let some things in our sales force with new lead regeneration and new team. But there’s no headline around how piracy gets added into our business. It’s going to be one of these thing that actually maintains the business as we move forward. And like I said many times before, pirates don’t declare themselves at the door. Which CAD vendors use Facebook logins? With Facebook having become a data-slurping, teenage-irresponsible, swear word, who would still want to be associated with it? Lots, when you look at the many Web sites requesting logins through Facebook or Google. Are you familiar with BOTS 101? It’s 3D modeling that doesn’t require coding or visual programming. You simply give it text instructions and it uses AI to create the results. Pretty cool stuff! It sounded interesting and so I went to take a look. But the only way to get a look was to first sign in with Facebook or Google. No thanks. Matt Asay (head of developer ecosystem at Adobe) last week wrote an article for The Register excoriating online firms that require Facebook logins. Didn't they know about the third-party data slurping that Facebook tacitly was permitting? Turns out Adobe itself has the Facebook login option. SO I wondered, which CAD vendors are like BOTS 101, requiring a login with Facebook or Google? It turns out that most don't even provide the option, which is excellent news. Now, it could be that when you log in with the CAD vendor, another firm handles the security and data, slurping it up for sharing with third-parties, who then bombard you with ads for that CAD software. Given the option, log in with your email and a specific password. Never log in with Facebook or Google. One week the ceo of PTC reaffirms his love for Industry 4.0, and the next week competitor Dassault Systemes sloughs it off as yesteryear's technology. Jim Heppelmann (ceo PTC): "I'll start with smart connected operations, what we call SCO, which is all Industry 4.0 factory automation. During the quarter, we closed an expansion deal in the Americas with one of the leading global food and beverage companies to extend their Industry 4.0 initiatives across their entire manufacturing footprint. "That's a space where in my view we're selling a surprising amount of ThingWorx technology and Vuforia technology, but frankly we could sell a lot more if we had a partner who had a customer base and gave us more credibility and so forth because most people don't think PTC as a provider of factory automation amazing technology. We happen to have a very good product. "...of course, we're looking for other partners, we've spoken of our desire for example to have a similar strong partner that might help us in Industry 4.0 factory automation. "If you do that SCO work, factory Industry 4.0-type deployment that could be either on premise or on the cloud. And frankly a lot of this is on premise today." Bernard Charlès (ceo Dassault Systemes): From our perspective, Industry 4.0 is yesterday’s way of thinking, with people applying new technology to old ways of working together. That is not enough. And digitalization is not enough either, it can be a catalyst but it needs more. "Tomorrow is about the makers and innovators, basically the ecosystem, about inventing new things and changing the way you do things in order to innovate with the end-customer or consumer in mind, leading also to the creation of new type of services and new content that industries can offer to their clients. 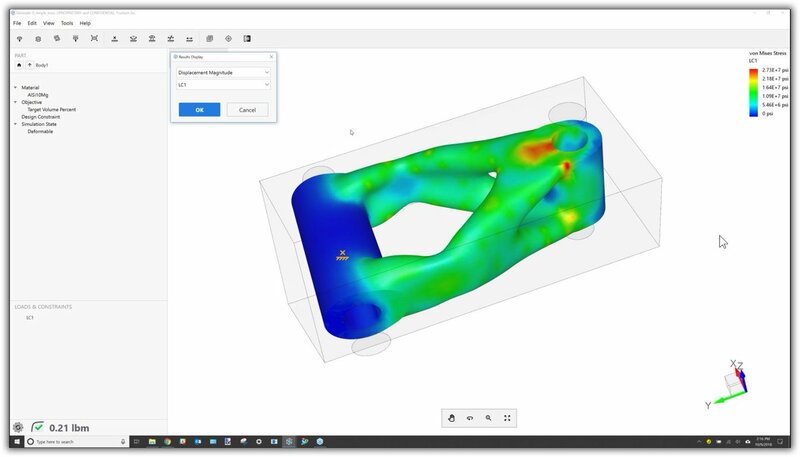 "The 3DEXPERIENCE marketplace positions Dassault Systèmes as a catalyst as well as an enabler of this transformation by connecting buyers and sellers of design and manufacturing content as well as services worldwide. Among the first services of the 3DEXPERIENCE marketplace, which we opened last January, is 3D printing services enabling any buyer, someone who wants to produce a 3D part, to find a seller, someone who is going to produce that 3D part. So we are becoming part of a transaction, the transaction bringing together the buyer and the seller, hence the term marketplace." At one time PTC was all about CAD (Pro/Engineer). Then it was all about PLM (Windchill). Then it was all about ALM/SLM (products whose names I wouldn't know). And now PTC is all about IoT (ThinkWorx). Still, some financial analysts still ask about the PLM biz. Here is how PTC cfo Andy Miller answered when asked about open-source competitor Aras. Shankar Subramaniam (Bank of America): On the PLM, I want to just understand some more on the competitive dynamics, especially how customers are thinking about open-source PLM solution with this software solution bought from you and your European peers. Because it seems like Aras is finding some success in terms of selling seeds into the heavy industry market. But, you are also growing a PLM booking. So longer term, do you see customers kind of doing a mix of implementation between open-source and software solutions? Or is it going to be predominantly the solutions you are selling into the market? Andy Miller: Yes. I think Aras is having some success at the edges. A lot of their wins are sort of strange projects in the core of the company, a little bit like how Autodesk can claim that every major manufacturing enterprise has tons of 2D seeds of AutoCAD. But it's not their CAD system. So I think Aras is starting to win a lot of deals like that, sort of not the mainstream system but maybe a test management system over in one department or something like that. So I think they're probably doing okay but I don't think that there's that much to the open-source story. I think they dangle that out there, but I don't think it's actually core to their value proposition and I don't actually think if it were that it would help them, because I think in this industry, PLM is very complex and there's not a vibrant open-source community in the PLM universe. And customers don't want to take on development responsibility for the core technology stack. So I think that that may be talking about open-source is a good way -- good conversation starter, but I think at the end of the day they're selling fairly traditional looking PLM into pockets around the edges of the major systems that companies have deployed. So putting it another way, they're not a major competitor to us at this point. They may occasionally show up in accounts where we're trying to show up. Aras announced a win at BMW some quarters before we did. But when we competed for really big business at BMW, they weren't even on the list of competitors. And they wouldn't have been, because BMW would never bet that important mission-critical system on an open-source strategy when there is no ecosystem of developers around that open-source community. So I'm saying that's a great conversation starter, but I don't think it's a serious business strategy. But I am saying they're having some success in pockets, like pockets at BMW, pockets elsewhere, but I don't think they're yet displacing any mainstream systems. With the so-called 2019 release, there is no more stand-alone AutoCAD per se -- except for enterprise-license customers, and the free 30-day demo version. You now get AutoCAD 2019 plus an optional number of vertical add-ons for one price. With R2019, software-rental firm Autodesk raises the price of AutoCAD's annual subscription fee by 7% -- to US$1,575/year. (In places like new Zealand, the price is nearly double, NZ$2,866, and not the $2,049 it should be at the current exchange rate.) This makes good the promise ADSK executives made to Wall Street to keep raising the subscription cost to customers, not just this year but for years to come. Some enthusiast sites are saying that all add-ons are included in this new bundle, but not: the most notable exception is Civil 3D. Perhaps instead it should have be named "Nearly One AutoCAD." The way it works is that if you are on maintenance or subscription, you can download AutoCAD 2019, and then if you are on subscription you can also download the add-ons you need. Autodesk says that each toolset is the same as the full add-on. Nevertheless, existing subscribers stay with their current vertical add-on until they specifically request Autodesk to switch them to One AutoCAD. If they are the same, then the option to switch is a puzzle. Collections will continue to be available. Users attempting to download the update suffered from not only from update problems severe enough to keep them from their livelihoods, but also reported not being able to find the download in the first place. (As I write this, Bing has no knowledge of AutoCAD 2019's existence on autodesk.com.) This is not a good testament to the much-vaunted cloud, which Autodesk executives have repeatedly given the God-like attribute of being infinite. MacOS users do not have toolsets, except through Windows emulators; toolsets run on Windows only. MacOS subscribers nevertheless pay the extra 7%, while enduring a CAD package that still only does an estimated 75% of the Windows version. It is not clear to me if drawings can travel back and forth between vertical add-ons (say, AutoCAD Architecture) and toolsets. One source suggested to me that once the drawing is touched by a toolset, it cannot be edited further by an add-on. I have not, however, found a definitive declaration on this crucial point. Update: It appears the incompatibility is between toolsets, according to a FAQ sent to me. If you work on a drawing with the plant toolset, you cannot simply switch to the architecture one: you have to save and (possibly) close the drawing, open it again, and then start using the architecture toolset. Toolsets cannot be shared between users. If you, an architect, download the Plant 3D toolset, the plant design specialist in your office cannot use it. He has to have his own One AutoCAD license and do his own download. It looks to me like Autodesk made an announcement driven by the stock exchange, and not by the interest of their users. Custom entities created by each vertical cannot be edited by the others. Each vertical aims at different professions: You can't expect that an architect will deal with mechanical design nor that a mechanical designer will understand how the GIS world works. Unlike with the Adobe suite, each user will only use one product, and doesn't want to pay more to get the others. At the end it feels like a price increase hidden behind a marketing message. The accumulation of negative messages, year after year, is alarming for the AutoCAD user. 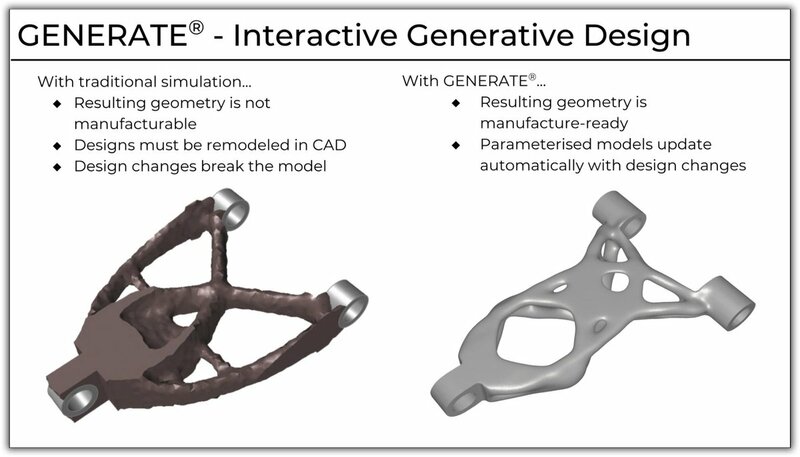 At Graebert, we see an increasing number of Autodesk's large customers and partners coming to us because they lost trust in Autodesk, and want to experience our Trinity concept. With this Autodesk announcement, we will work on a new campaign to show that CAD users with DWG files have a vital alternative with ARES. As you can see, the announcement also is an attack on those surviving Autodesk partners that are competing with the new vertical toolsets. We started actively working with developers to facilitate the migration of industry-leading solutions from AutoCAD to ARES. With 14 million AutoCAD users not moving to subscription, the company keeps publishing deals that might entice the reluctant. (The number comes from Autodesk: they estimate 12 million pirates + roughly two million legal customers.) By throwing in nearly everything but the ginzu knives, Autodesk is hoping the new value-proposition is compelling. It won't be enough, because the company is not giving these customers what they want: the flexibility to choose between permanent, permanent+maintenance, or subscription -- as do most other CAD software firms. The ginzuknife-like offer makes Autodesk look desperate, and cheapens the perceived value of vertical add-ons. I can imagine future offers: "And if you order today, we'll throw in Inventor for just $1/year more (plus shipping, handling, and applicable fees and taxes)." One AutoCAD devalues products produced by third-party developers to Apple Store-like levels. With this change, Autodesk has declared the value of AutoCAD Architecture + AutoCAD Mechanical + AutoCAD Electrical + AutoCAD Map 3D + AutoCAD MEP + AutoCAD Raster Design + AutoCAD Plant 3D to be $105 -- fifteen bucks each. It's no wonder pirates don't value software enough to pay for it. This study is anticipated to result in a series of journal articles on the projected impact of future technologies as they will impact PLM in the next 5-10 years. Participants who complete the study (3-4 surveys) will receive access to these articles, which will provide insight into what other experts feel will be the most impactful technologies in the PLM space. Please correspond with Dr. Littell (littellw@ohio.edu) to volunteer or nominate your company's PLM expert for this project. This study is not interested in trade secrets or confidential company information. All information provided in this study about the participants and the specific companies will be confidential. Thank you in advance for contributing your expert knowledge towards the future of PLM study! It's been nearly nine months since I bought my latest cell phone, an ASUS ZenFone 3 Zoom. I am happy to report that if I needed to get a new one, I would get the same one. It's that good. It's also unsung. I am amazed at the tech media fawning over small vendors like OnePlus, Essential, or even Mezui -- never mind the obsession over Samsung and Apple. ASUS is a significant manufacturer of computers, and so I am surprised at how its phones are ignored, largely. Even to the point of misinformation, when one tech reviewer claimed that the software on the phones is never upgraded. My phone has been upgraded regularly with new Android OSes (from 6 to 7 to 7.1), Google security patches, and updates to ASUS' own apps. ASUS has stated that this phone will get Android 8 sometime this year. The battery is rated 5000mAHr, about 1/3 better than most other phones. In theory, it could run for three days, although I have not tested it for that long; I've gone 2 days. In practice, it means I never need to worry about running out of a charge, even on long days that involve flights overseas. Many phones today have two lenses on the back, but most use them for foolish marketing purposes like the bruha brokeh effect. A few, like this ASUS, use it as an optical zoom -- 2.3x zoom, in this case. In practice, it is wonderful. ASUS works on making its phone cameras take good pictures. How good? Good enough that this is now my primary camera for when I travel. As a technical writer who writes about software running on Android and iOS devices, it needs to be easy for me to take screen grabs. Holding down two buttons (the default on Android and iOS devices) is unpleasant. Some vendors have a special button for screen grabs; on ASUS devices, I just need to hold down the AppSwitch button for two seconds. This feature is so significant to me that when I bought a new tablet earlier this year, it was an ASUS so that I could easily take those screen grabs. There is one drawback: when I take the phone out of my holster, I frequently and accidentally take a screen grab. Oh well. Over all, it is a 5.5" phone with 32GB storage RAM (expandable with a microSD card), 4GB operating RAM, and nearly as thin as an iPhone. For travel, I love that it has room for two SIM cards. Being older, it is now priced at under $300. The sole negative is that the three buttons -- Back, Home, and AppSwitch -- are not lit up, and so a pain to find in the dark. It's been nearly a half-year since, and so I thought I'd follow up. In brief, I don't use it much. For me, it is useful only when typesetting with InDesign on my laptop, because I have an entire screenfull of palettes that need to occupy a second screen. And typesetting does not happen very often with my 13" laptop; a desktop computer with 23" and 18" monitors is preferable. So, the S1 spends most of its time in its neoprene carrying case. On my most recent trip to Europe, I took it along and didn't use it once. Afterwards, I noticed that it suffered from two largish reddish areas, which I think is where it might have been bumped during travel. If I were to take it along in the future, I would cut a thin sheet of plywood to size, to protect the screen from further damage. A computer reseller did write to let me know that this monitor was the kind his customer was looking for. CIMdata held a Webinar last week on the potential use of blockchains by the design and manufacturing industries. I need to emphasize that no CAD or PLM vendor has implemented this technology, and so this seminar acted as an introduction to the topic. CIMdata hopes to form a working group to think about the subject some more, and help with the implementation. The host of "Blockchain Technology and PLM Usage" Webinar was not ignorant of the subject. He has a six-GPU rig running in his garage and even posted his Bitcoin address for us to see. The idea is that blockchains could be used to track all the steps of a part being produced, used, and discarded -- the usual PLM strategy. The benefit of using blockchain is that it records each step and the record cannot be monkeyed with. See the slide below. With that intro, here is my record of the Q&A that followed the Webinar. A: Yes. Although the compute power required is high for currencies like Bitcoin, within enterprises it is probably acceptable. Some new technologies like etherium are trying to reduce the computational requirements. Q: What is a practical example of blockchains for government compliance? A: A blockchain records every transaction, and so your compliance actions would be recorded in the blockchain. The government would have access to it to test and verify through the blockchain's audit trail. Ralph Grabowski: How much does blockchain technology slow down the manufacturing process? A: I don't think normal usage will see a slowdown. You are going to have to work on some new applications and use-cases. We are replacing one database with another. This is not like the huge computing resources [typically room fulls of nVidia graphics boards] needed for mining increasingly-rare Bitcoins. Q: How do you maintain blockchains for PLM -- internally or externally to the PLM service. A: My vision is that it would be inside the PLM service. We haven't done it yet. Q: Are you aware of any use cases outside of 3D printing? A: One major [PLM] vendor we talked to is in the research stage. Q: What manufacturing industries will benefit the most? A: I see two: aerospace involved with FAA compliance and tracking parks; the other is the process industry, to trace back which machine created this particular part. Q: Is blockchain only useful for tracking transactions, or can it be used for configurations? A: [Both.] I am moving this part to production. As a part moves through processes, it is recorded. Q: How easy is it to move from one blockchain provider to another? A: I have never done that. I would think you have to do a validation check. As time goes on, we can expect more services from blockchain providers, kind like moving a database from IBM to Oracle. Q: How does blockchain detect counterfeit parts? A: Each transaction is recorded in the block, and each one is verified by the computation of the block before it moves to the next one. The user of the counterfeit part would have to be really fast to fool the system, such as 100x faster than all other users in the system. The only SLR I ever bought new was a film one, the handsomely chunky Minolta XE-7, which I owned from roughly 1976 to 1985. Then I got old enough that convenience was more important than heft and interchangeable lenses, which back then I couldn't afford, anyhow. I was stuck with its stock 50mm lens, albeit at a bright f1.4, until I sold it to afford a zoom lens for my wife's SLR. Last year, my professional photographer daughter wanted to sell her first DSLR, a Nikon D3100, to help fund a new high-end Nikon, so I offered to buy it, but she sold it to me without lenses. First lens I got was a Tamron 70-300, which I though would go from just over 50mm (the standard) to 6x zoom. But I did not realize that the D3100 camera (and other Nikons with similar model numbers) have a smaller sensor, meaning that the mm numbers need to be multiplied by 1.5. This meant that I was using a 105-450mm equivalent. The good news was that I had a 9x zoom at the far end, but 105mm at the short end. That was irritatingly long, so I gave the lens to my daughter-in-law. With that lesson learned, I next bought a Nikon 18-55mm lens. The equivalent on the D3100 is 27-82mm. This is nice for indoor shots, where a wide angle is needed, but I was frustrated by the lack of zoom. I love zoom! So I finally got the best of both worlds: a Tamron 18-200mm lens. Mounted to the D3100, I get the equivalent of 27mm wide angle and 300mm zoom (6x). The lens is reasonably compact at 3.5 inches long. When not extended, it is the size of my hand wrapped around it, so a comfortable size. When zoomed out all the way, the lens extends by another 3 inches. The aperture, unfortunately, is small (f3.5 for wide angle and f6.3 for maximum zoom), but that is the tradeoff with buying it at a low price (US$250). Since zoom photos are always taken outdoors, the small aperture is not too much of a problem. The filter ring size is 62mm, but it comes with a sun shade which also help keep fingers off the glass. The lens has manual zoom control, with auto or manual focus. In addition, the anti-vibration (VC) can be turned off, which you want off at slow shutter speeds. There is a lock that keeps the lens from extended by accident, such as when you carry the camera hanging down. Shape is a new Windows CAD program from Bricsys that is meant for 3D modeling. Its inspiration was SketchUp (from Trimble) and its purpose is to do conceptual design for input to BricsCAD BIM software. However, for students, casual users, and architects doing pre-design, it stands alone. I have down loaded Bricsys Shape and given it a brief trial. It seems to be well thought out and has some interesting features. However, if it is to be a serious rival to SketchUp it will need to have the capability to add dimensions. And it's a pity that you have to keep hitting the Enter key after every action, a la AutoCAD. Shape is a stripped down version of BricsCAD, and so the command-line interface is the same. So, yah, press Enter. In fact, you can press Ctrl+9 to expand the command line to the usual five-line height, and then you can customize it further by right-clicking the command line and choosing Options. Placing dimensions is possible with a workaround, but it is awkward. In short, you draw an aligned dimension (DimAli) or other dimension in BricsCAD, and then copy and paste it into the Shape drawing. Start the drawing in BricsCAD with the same units as Shape (metric or Imperial), otherwise the dimension ends up tiny in Shape -- or too large. It helps to draw the dimension in BricsCAD as similar as to how it will be used in Shape. So, draw it upside down for bottom edges, sideways for sides, and so on. When you paste the dimension in Shape (using Ctrl+V), pick a point as close to the object being dimensioned as possible. Once the dimension is in Shape, drag it by its grips into position, just like you would in other CAD packages. It sometimes helps to put the model in plan view. You cannot use this method to dimension vertically. I am a strong advocate of not upgrading software, unless it has to do with security patches or significant improvements that benefit me. In the Google store app on my Android, I have auto-update turned off, and so I have 48 apps waiting with updates. They can continue to wait. A decade after the iPhone launched the full-screen touch-with-finger paradigm, the app market is mature. Most apps do what we need them to do. There rarely are breakthrough apps anymore. I am more likely to get a new phone than a new app. But once in a while, I hear about a new app that sounds interesting (and then end up not using it most times anyhow), or I get frustrated with the capabilities of an existing one and so go searching for a better replacement (which is not easy). The biggest change I made in the last year was to replace the K-9 email app with AquaMail. The new one has a nicer interface and this killer feature: when attaching a picture to an email, AcquaMail asks how small you want to make it -- so no need to resize before attaching it. Another nice function: swipe to hide messages but keep them on the server. This declutters the list of emails on the phone without erasing them unnecessarily. The drawback: AcquaMail has a ton of options. It took me months to find the option to automatically BCC: to self. (From AquaMail support: "This is a per-account option, so long press your account, choose Options and Folders, then Extended mode, finally scroll down to see it.") Even that Swipe-to-Hide function took me a while to discover and implement. Here are the primary apps I'm using these days. Remember to pay developers. App prices are cheap, and programmers need the income. Home screen and launcher: KK Launcher, but I use an old one that is no longer available (another reason to not update). My most-used apps are on the home screen, with lesser used ones on the left and right screens. Office documents -- OfficeSuite (to avoid using Google as much as possible). The exception is Google Sheets, because OfficeSuite's spreadsheet doesn't zoom properly on small screens. Travel -- apps from each airline I commonly fly with and railroad I travel on; I especially like that United's app now reports the location of checked bags. My Data Manager -- tells me how much of my monthly cell data plan I've used; priceless! In the figure below, the (very short) dark blue bar tells me how much I've used so far in this month's cycle; the lighter blue shows how much I could have used, based on dividing the monthly 500MB allowance by 30 days. In rare cases, I revert to the apps native to the phone. My current phone is the ASUS ZenFone 3 Zoom, an unsung phone if there ever was one. (It has a 5000mAHr battery, 2.3x optical zoom, screen grabs jsut by holding down the Recents button, etc.) I reverted to using its apps for Camera, Contacts, and Phone, as ASUS beefed them up to be good enough for my needs. When out of country, I put $5 on Skype to phone home for cheap. I think that what got us in the door with BMW was not, "Hey, we need a pin for pin replacements of a legacy PLM system!" They said, "No, we are doing a digital transformation of BMW and to transform BMW, we are going to need a new way, for example, to move designs into production, and who has a system that could do that?" Now it turns out we do. It's Windchill with a bit of ThingWorx processing on top. And that was a great system. I think that our opportunities will come from people taking a fresh look at "What are our needs?" as opposed to "Who has the best version of yesterday system?" And that's what got us into BMW. I would tell you we are having interesting conversations with numerous other automotive companies who are really stepping back and taking a fresh look at "What really are our needs and our requirements?" And then, "Who in the vendor community is kind of out there thinking in the same way we are?" I think that's the big advantage for PTC, because I think we are well ahead of our traditional CAD and PLM competitors and thinking about how the world is changing. And again BMW is great evidence to that. We at PTC had no meaningful incumbency position in BMW whatsoever. We were on the outside looking in, and then there was a need, but we had to co-exist between a couple of other systems -- SAP systems, other PLM systems, legacy systems. And if we couldn’t be open enough to come in there and use our data pipelining techniques and so forth to trade data with other systems but apply our value-add-to along the way, there is no way we can win that business. But in the end, we are the only company who had both the openness and the functionality to make that work, and that's actually why we rose from standing on the side lines, looking at the building to ultimately closing the order with them. So I think it's a very interesting time in the industrial world in general and in the automotive business being a very advanced industrial business, we're starting to see some interesting possibilities. We don't want to get ahead of ourselves, but we feel good about things. When a CAD vendor sells some software to a significant customer, the accompanying press release can make it sound like the software just replaced all competitors at the significant customer. For example, when Dassault Systemes announced that Boeing was going Dassault-only, the CAD company admitted later it would take five years just to implement the software, and we all know how implementation schedules run. In fact, the big deal in all these press releases is the name of the customer, not the software order itself. So it's refreshing when a CAD ceo admits that a landmark deal isn't actually all that huge, in this case PTC ceo Jim Heppelmann. PTC announced the BMW Group has selected the PTC Windchill solution as its PLM backbone for production and sourcing bill-of-material (BOM). Windchill will be the enabler for globally configuring and releasing cars to production. The wording of the press release makes it sound like PTC software is now running BMW, globally. But it's not. We didn’t displace every use of PLM and engineering. We didn’t displace their CAD systems. We were selected as their one and only digitization platform, but we certainly won a very big piece of business right in the middle of their business process. We competed long and hard and, quite frankly, we technically won. They were impressed by our technology, both Windchill and ThingWorx. ...BMW was surprised at what we are capable of doing... We went from not being invited, to the first round, to winning the last run. The ceo indicated that the deal was worth just north of $5 million. Backlit keyboard, CD/DVD drive, etc. And then after a year he decided he didn't like it, and gave it to me -- as per usual. I am unsure what to do with it, so for now I am playing Obduction on it. Even with those specs, however, the fan roars while I play. However, RAPID mode was not turned on for the SSD. The utility software would not turn it on, because it could not identify the operating system! Doing some research, I found that that version 4.x of the utility software has that bug; upgrading to 5.x would solve the problem. It did. With RAPID mode turned on, it now does a cold boot in 16 seconds. That's satisfying. The slow speed (now solved) was irritating enough, but the second problem was just as bad: the Elite would not wake from sleep mode. When I close the lid, the Elite goes into sleep mode; when I open the lid, it does not wake up. Pressing the keyboard, the power button briefly, moving the mouse -- all to no avail: the screen remains blank. The (annoying) solution is to hold down the power button until the computer turns off, and then turning it back on. Research shows that the problem plagues many laptop models, ever since Windows 7, through 8.x, and now with 10 -- HP and other brands suffer from it. I don't have the problem with my HP Spectre, but here it was in my dad's Elite. The solutions I found varied from installing the latest drivers to re-installing older drivers -- keyboard, mouse, graphics board, and so on. Checking that the keyboard and mouse would not shut down for "power saving" is sensible, but that was not set for my dad's laptop. One suggestion was to change the "Lid closing" action from Sleep to Hibernation. Now, I have avoided hibernation mode, as in earlier years it was slower than starting from a cold boot, on older, slower computers. But with this computer cold-booting in 16 seconds, I figured, why not try it? I tried it, and it works. When I raise the lid, the laptop comes out of hibernation mode. It is, of course, slower than emerging from sleep mode, but better than having to reboot the computer e-v-e-r-y s-i-n-g-l-e t-i-m-e. Although some BIM vendors implemented a Revit translator this year, such as Vectorworks, they have all kept quite quiet about it. So when BIM6x issued a press release about their Revit translator plug-in for ARCHICAD, WorldCAD Access had to interview them. We spoke with Chris Clark, BIM6x ARCHICAD Solutions Director and Link Ellis, BIM6x ARCHICAD Technical Director. WorldCAD Access: Is your translator based on the work done by the Open Design Alliance? WorldCAD Access: Why did you decide to write the translator? BIM6X: We provide ARCHICAD sales and consulting in the mid-west [of the USA]. The big wish of our customers was to get RFA content into their projects. We recommend that they still use the IFC workflow for interoperability, because translated RVT and RFA files don't carry much data. WorldCAD Access: Why are you giving it away for free? BIM6X: It is good for our users, with whom we have been consulting on ARCHICAD sales for over 20 years. It's also good for exposure. WorldCAD Access: What does the plug-in do so far? BIM6X: When it brings in an RFA file, it detects automatically if it is a door, window, or other object. The Import dialog box also allows you to give curved geometry different levels of complexity, to control polygon size. The RFA is converted to a GDL object. It brings in the RVT model file as a group of objects. It is hotlinked, so that when the model changes in Revit, those changes show up in ARCHICAD. A hotlink is like a 3D xref; it does not bring in all the data, like IFC would. We can export ARCHICAD models to RVT format, as objects with limited intelligence (such as properties and classifications). The RVT parameters with which it comes into ARCHICAD can be put into schedules and labels, but they cannot be edited. Our plug-in is excellent for inserting doors and other elements available only in Revit format, but RFA symbols are not meant to be edited, such as being stretched, as they are no longer parametric. This is a limitation we added deliberately, as the imported symbols are as-manufactured; they are not meant to be stretched. WorldCAD Access: What kind of demand have you see for this plug-in? BIM6X: Worldwide. We have had downloads from just about every country on earth. We hadn't even officially launched it, when we noticed the first downloads starting within 90 seconds of us posting it online. We don't know how people learned of it, and now we are still just getting out the word. WorldCAD Access: Could IFC and RVT be combined to get best of both? BIM6X: This is not the intent as they are quite separate. It would be hard to add IFC data to an imported Revit door -- maybe it could be done with GDL [ARCHICAD's graphic description language for parametric symbols]. WorldCAD Access: Might you adapt your plug-in for other BIM systems? BIM6X: This is not really in our scope, as we are focused on ARCHICAD. Twenty years ago, the founders of ASCON Group made the decision to create their own 3D modeling software, KOMPAS-3D. To power the MCAD system, the company in 1996 established a team to develop a 3D geometric kernel precise enough to compete against other 3D SDKs. This is when the history of the Kolomna geometric kernel began. During the years that followed, the kernel was continuously developed and improved. New modeling methods were invented, more efficient algorithms were developed, and modules were added like a parametric solver, a data converter, and a visualization module. Behind all these changes, there were people developing the geometric kernel now known as C3D Modeler. Yuri, I would like to begin with some traditional questions. Where were you born? Where did you study? And where did you grow up? I was born in Daugavpils in the south of Latvia. My father was a military engineer and my mother was a doctor. I went to schools in Latvia, Lithuania, and Germany, in what was then East Germany (GDR). When the Russian military began withdrawing from the GDR, we moved to Ryazan in Russia. Was it hard for you to switch schools so often? I felt quite comfortable in the Baltics and Germany, but I found it difficult to settle in the Russian school in Ryazan. Sometimes I had problems with my classmates, because when they skipped geography lessons, I usually remained in the classroom to learn more. This continued until the 8th grade, when students who, like me, wanted to study joined a special physics mathematical class. The physics and mathematics class must have had a major influence on you being admitted to the technical institute. I owe my love of the exact sciences to my mathematics teacher, Ms. Greta Ryazantseva. She encouraged me to enter the Physics and Mathematics School of the Moscow Institute of Physics and Technology (MIPT) by correspondence school. I loved physics, because there I could apply my knowledge of mathematics. I participated in several regional Olympiads in physics, where I took 2nd and 3rd places. At the same time, I was interested in radio engineering and so studied in a group project for several years. That is why I wanted to enter the Department of Radio Engineering and Cybernetics at MIPT, but I didn't have the required grades, and so in 1995 I entered the Department of Aerophysics and Space Research. In six years, I received my bachelor and master degrees, and then entered graduate school. While I studied, I participated in the Russian-American Observation Satellite International Project (RAMOS), where I investigated the possibility of using the stereo reconstruction of cyclones to forecast their development. My specialty was mathematical modeling, numerical methods, and program complexes. After completing my postgraduate studies, I defended my thesis for the degree of Candidate of Technical Sciences. Did you ever visit the USA? I never managed to get there as a student. Our partners invited me to the USA, but then relations between the two countries became more tense, and so I lost the chance. Collaboration was gradually phased out between the countries. However, I managed to get there later. What else did you do when you were a student? I don't remember exactly when, but sometime during the summer of 1997 or 1998 I has the opportunity to visit the town of Beloyarsky near the Arctic Circle. I was there to inspect the state of anti-corrosive protection of gas pipelines in Khanty-Mansi Autonomous Okrug (Western Siberia, Russia). The theme of my bachelor degree work was related to adjusting ferroprobes used for diagnosing and inspecting gas pipelines. My supervisor told me, "You've developed your own methodology. Great job, but now it's time to test it in the field." So, off I went. In the summer, you get there only by air or by boat on the Kazym and Ob rivers. In the cold season, winter roads are laid right on top of frozen swamps. The following year, I instead inspected gas pipelines in Tver Region of Russia. Did you enjoy your Siberian trip? Siberia made a good impression on me, if you ignore all the tiny flying insects. I'll never forget the bloody rings on my wrists, where the small midges got through the gaps between my gloves and sleeves! And this is where I first tasted fresh-frozen fish. I even remember its name – muksun. It's a delicacy for many northerners in Russia. Very tasty! What was your first job after graduate school? After graduation, I searched for a programming job with a mathematics or physics orientation. I got married after I defended my thesis, and so I had no desire to leave my native city. Although there were interesting employment opportunities in Moscow and Novosibirsk, ASCON's office was the closest to my home. Upon joining ASCON, did you get to immediately join the team of mathematicians? I misunderstood the published description of the job vacancy! It seemed to me that it was a systems group, and the group that I really thought was mathematical was actually engaged in 3D modeling. Then they explained the difference to me, and I immediately joined the team led by Dr. Nikolay Golovanov. We have been working together for 12 years. t is worth noting that Andrey Penkin and Alexander Maksimenko came to this team even earlier than me. They are our veterans. Eduard Maksimenko, the developer of the visualization module, is another veteran who has also been working at ASCON for a long time, although he is not engaged in mathematics. What were your first projects after joining ASCON? In the first six months I worked on bug fixes, and then management began to assign me to developing new functions and improving existing features. Sometimes a new function creates a new stream of bugs, especially when you try to integrate new features into existing functions. Which functionality do you work with? To be honest, I can hardly distinguish one software part from another anymore! I work in almost all areas related to geometric kernel development, and I even worked a little on optimization the conversion module. However, I never dealt with parametrization. All these components are now parts of C3D Toolkit. Tell us about some of the most memorable moments in your work. Well, I can't say that I've taken part in developing any breakthrough projects! I made many improvements and fixes to existing functions, such as for Boolean operation on bodies. I significantly improved the thin-walled shelling and the split line operation, and I created a shell-cutting operation from scratch. I've added a lot of special cases for surface and curve intersections. Just what made these tasks interesting from the mathematics point of view? What were some of the challenges did you faced? We don't invent anything from the point of view of mathematics; we put into practice what is described in theory. In this regard, we are ordinary programmers, but with a clear mathematical bias. Our work often requires more logical tweaks than mathematical ones. Often, we have to improve iterative processes. This helps improve stability and obtain more accurate solutions. Last year, you were involved in improving the speed of operations in the C3D Modeler. Tell us a bit more about this. I was indeed involved in performance improvement, but I could not devote 100% of my time to the task. There were many urgent bugs that I needed to fix. This is the main difficulty when you are trying to increase performance, because the task of fixing bugs in the kernel always has a higher priority. This leads to a slowdown in some operations, and so we say that there is some kind of conditional "struggle" between performance and functionality: the more you focus on improving quality, the harder it is to increase performance. Today, I'm involved in increasing the performance of algorithmic improvements. I try to avoid solving problems connected with parallelization, except for cases when the use of several threads leads to errors in the calculations. With who do you most collaborate in C3D Labs? It's easier for me to name those with whom I least collaborate! These are my colleagues who deal with the C3D Solver parametric kernel. For that matter, C3D Converter, for example, is much more closely integrated with the C3D Modeler than C3D Solver. The interviewer's explanation: The earliest versions of C3D geometric kernel focused on creating 2D/3D geometry, calculating mass properties, solving logical and dimensional constraints, and converting data between the most common formats. Over time, however, our customers began to request specific functions as modules that would be licensed separately. We decided on a new licensing model for our 3D SDK that turned the geometric, parametric, and conversion parts of our kernel into standalone products. All these modules – C3D Modeler, C3D Solver, and C3D Converter – are parts of a single SDK. At the marketing level, they are different products, but at the software level they are not. 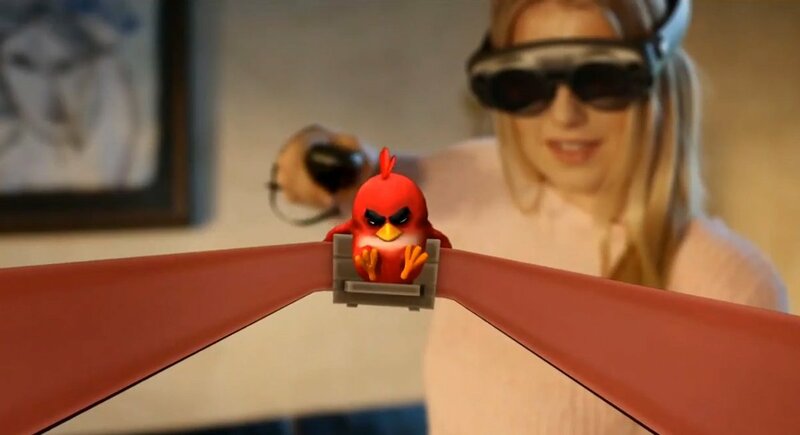 Recently, we added C3D Vision to help developers optimize visualization in their applications, and then we began marketing C3D Toolkit as the complete solution for 3D software developers. Is it possible to separate geometry, parametrization, and conversion from each other unambiguously? Converters use the geometric basis (curves and surfaces), so they are inseparable from the geometric kernel. C3D Toolkit gives us tight access to C3D Converter functions, and we do so as part of our licensing model. But the converters themselves do not disappear after this operation. As for C3D Solver, it could potentially be separated from C3D Toolkit, because it doesn’t share that many objects with C3D Modeler. I can give an example: when I was involved in solving performance problems, I exported all NURBS surface calculation algorithms to a separate file and passed it to my colleagues, who were able to ensure isolated use of these algorithms in shaders. To work properly, these algorithms only need two objects from the geometric kernel: a vector and a point. You devote a lot of time to fixing bugs, tell us how you are involved with the ServiceDESK. I am the coordinator of the ServiceDESK at C3D Labs. As the work related to improving the kernel performance is becoming more intense, I am increasingly delegating bug fixing to others. To date, C3D Modeler bugs are fixed by me, Nikolay Golovanov, and Sergey Biryukov in roughly equal proportions. C3D Converter bugs are fixed by Alexander Spivakov. There is also a separate area that is led by Alexander Alakhverdyants from the C3D Solver team. This area is related to problems that arise for operating systems other than Windows: Mac OS, Linux, and Android. By the way, recently we noticed that the growth in the number of ServiceDESK requests is gradually declining. However, the number of tickets remaining open has increased, because there are very complex bugs and bugs that require a long implementation in the system. How do ServiceDESK requests differ? Do you encounter difficulties in dealing with customers? Issues vary from request to request: there are simple problems and complex ones. A very few are absolutely amateurish, while others are really simple to solve. I believe that this is due to shortcomings in the documentation for C3D Toolkit. We have to make our documentation more detailed. As for dealing with customers, any emotion, positive or negative, is absolutely inappropriate here. Even if such emotions arise in our staff, we put them aside. When we respond to a customer's request, we should be strictly professional. After all, our customers help us improve our products and participate in the development of the roadmaps. We are very appreciate of this. Who at C3D Labs oversees relations with global customers? As a rule, I answer questions from our global customers in English. Most of these requests are sent in by potential customers; few requests from current users are received by ServiceDESK. Anna Ladilova answers questions regarding the geometric kernel's C# wrapper to partners in Sweden and India. C3D Labs sent you on overseas business trips, such as South Korea. Yes, but we encountered some difficulties during the visit, which we had to resolve quickly. For example, to communicate verbally with a potential customer we used a tablet with an online translation service. I did not expect to see Visual Studio with a Korean interface installed on the workstation, and so it was really hard for me to find the required commands! After this initial meeting, we now always take along a laptop with the software in English. Following this trip to South Korea, SolarTech bought a license to use the C3D Toolkit to develop QuickCADCAM software. What do you remember most from your visits to South Korea and the USA? During my entire time in South Korea, I always felt secure. Seoul is a very calm city, even though it is a metropolis. The USA impressed me with its good roads, and their non-aggressive, very responsible drivers. When I returned to Russia, it was difficult for me to not notice the gloominess of my fellow citizens. It turned out that foreigners are friendlier and more positive. This applies to both countries that I visited. At COFES 2017 in Arizona, there was a lot of talk about the optimization of 3D models. If customers were to ask you to implement this function in the C3D Toolkit, could you? C3D Labs doesn't make physics calculations; our field of activity is completely different. However, we do work with geometric bodies. If one of our partners gives us an optimized 3D model and asks us to process it, we will, of course, decide how to proceed with it. And this need not necessarily be a solid body, it could be a polygonal model. So when we come to a new field we need to teach our solutions to work with polygonal models directly. And this concerns not only section planes, but also Boolean operations, as well as any other functions required by users. To end our interview, tell us about your hobby. What interests you outside of your work? In the last few years, I haven't had enough free time for a serious hobby. However, I like to make rope crafts, like bracelets and flowerpots, and I used to be fond of making pencil sketches. I also liked analog photography at the time that film cameras were still in widespread use. I processed the film and printed the photos myself. The lack of regular practice means that my drawing skills have decreased, but my wife and son are still delighted by them. I also like reading science fiction. But lately, it's getting harder to find good books. Authors tend to write formulaic books to earn big money while they can, so modern science fiction gradually ceases to be interesting. Because of this, I began to re-read old books. During rare trips to bookstores, I usually buy collections of short stories, as they sometimes contain good ones. I have spent many years using and implementing CAD in many fields, ranging from architectural floor plans, electrical ladder diagrams, to CAM [computer-aided manufacturing]. 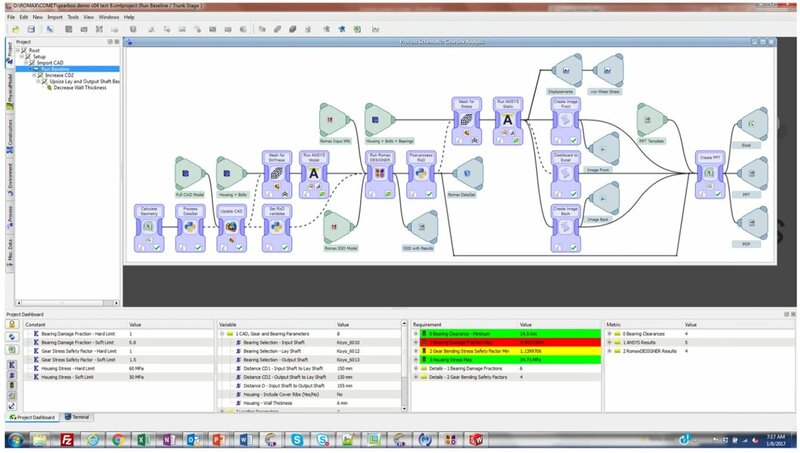 One of my very first major projects was the coupling of Prime Medusa with Oracle to create a BIM [building information model] for the design HVAC [heating, ventilation, air conditioning] systems for hospitals and comparable major building projects. To us back then, this BIM type of capacity was well worth the effort required to implement it, which was and still is a major task. I like the analogy of leading a canoe through rapids. This is indeed how I often see building projects take place -- not well-planned. As I am a pre-fab builder, I would like to expand the canoe analogy to the way I build. I study the trajectory through the pylons to know which turns are ahead; when I find a missing pylon along the way, I make a suitable adjustment to the unexpected situation. Basically, I have pre-programmed responses by working over the plans using different points of focus. In this way, a good BIM would help me. A BIM-type system is invaluable to manage this type of complexity, where systems are spread over various types of design documents and 2D and 3D models. A PDM [product data management] system might help a little, but is not fine-grained enough to effectively manage all the objects. I personally find 2D or 3D graphics are much simpler to grasp than object trees; i.e. the CAD models should be leading and BIM data following. I hope the above is clear enough to show I still believe in the power of BIM. My main disappointment, though, is that somehow CAD vendors have not succeeded in delivering effective systems; they are overtly complex to work with, or don't offer solutions to real world problems. As I see it, the best model is an approach comparable to GIS systems where CAD objects have the capability to add/show linked meta data. I don't believe in pre-cooked systems containing endless structured data models. Each data model is very discipline-specific: an architect's view is completely different to that of the janitor. The structure of a BIM has to fit the specific needs of the parties involved in the project. I expect that the main obstacle to BIM is that the party who has to fill the majority of the BIM, the architect, is also the one who has the least gain from using it -- meaning architects are not being paid to fill a project BIM properly. Rene Dalmeijer advises on construction processes, especially in the area of pre-fabricated buildings. He is located in The Netherlands. Solidworks sales are roaring, leaving all competitors in its dust. During last week's conference call with financial analysts, Dassault Systemes explained why. Let me start by asking about the continued momentum you've had with Solidworks . It had a very good 2016, particularly in terms of new license momentum, and that's continued now through the first three quarters of this year. And at least by our calculation you've been able to sustain an annual run rate of new licenses at well over 60,000 new licenses, well above the rest of the peer group. Can you talk about the two or three most significant changes or drivers to that momentum? Was there something that you did in terms of channel management; was it promotional activity; was it the focus on large account sales that you talked about at Solidworks World earlier this year; or anything you can comment on as to the main drivers? I think we continue to increase the gap versus any other solutions [competitors] ... [through] differentiation in terms of relevancy and competitiveness of the solutions of good technology, good products. That's for one. And I think it has a very positive effect on also the mood, first of all to the user community adoption speed, on the mood of our resellers, and the will for them to grow. We also made an evolution of our business model two years ago, to really incentivize the resellers to be more growth-focused, [while] still providing a well balanced model with them. [When] they make money, they can reinvest, and they grow. And I think the mood with our channel, not only the user community, but the sales channel is also very positive, and they see the dynamic of that. There is a third aspect. We have provided ... visibility about the future of Solidworks, namely connection with the 3DEXPERIENCE platform as one; second, the future of Solidworks through a browser, which is really something really important for our clients, even though they want -- they love Solidworks on desktop. 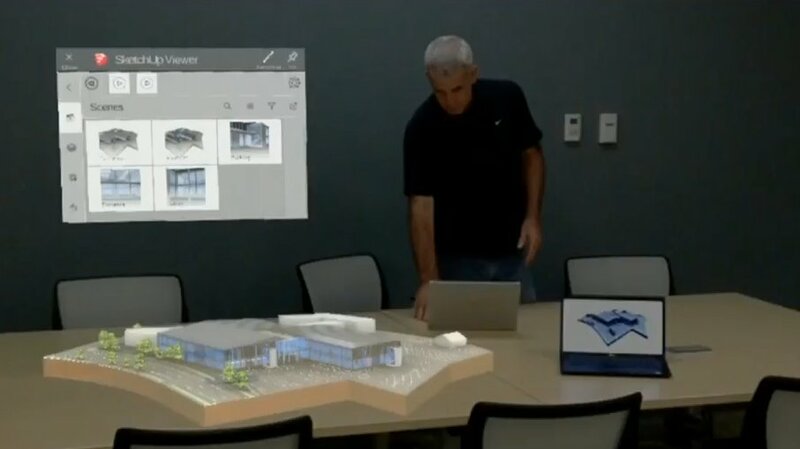 And third, Solidworks truly on the cloud, and I think the fact that they now see this as part of a credible and visible plan in some way accelerate for them the will to expand their install base. And last but not least, we continue to expand our cooperation with third-party software. One of them is Altium. We can do circuit board design extremely well integrated, and we can provide solutions which are more than just the Solidworks desktop. So those are basically the four factors, and they are well aligned. And finally we are becoming maybe the only company to continue to work with an indirect channel -- on an indirect channel even when cloud is coming because we think we will continue with our indirect channel even for cloud solutions. Communicator is the extra-cost translation add-on for Bricsys Pro and Platinum for translating drawings. At this conference, Bricsys is making the remarkable claim that BricsCAD is the only CAD system in the world that can do MCAD and BIM design in the same model (and the same file format, DWG). The demo they are showing is of changing the design of a parametric elevator inside a building model. In this tutorial, they replace the elevator's motor by importing a new one from Solidworks, and then making changes to the elevator to adapt the new motor. Linked balloons to auto-generated BOM table in generated views. Draw freehand along an assembly, extrude to create shell for assembly.